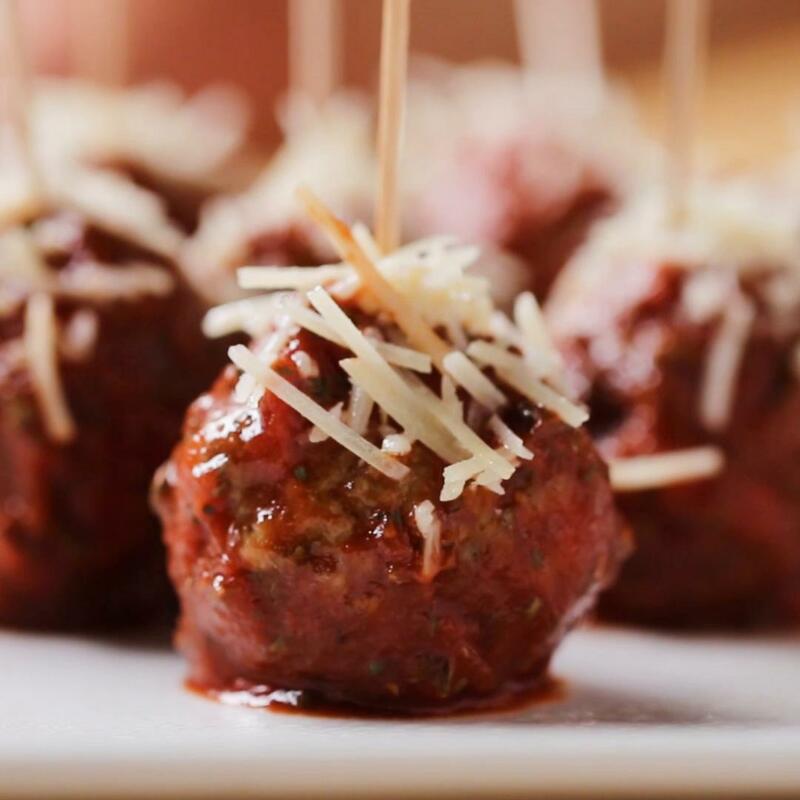 Mix the ground meat with the onion, parsley, egg, garlic, bread crumbs, salt, pepper, and cumin. 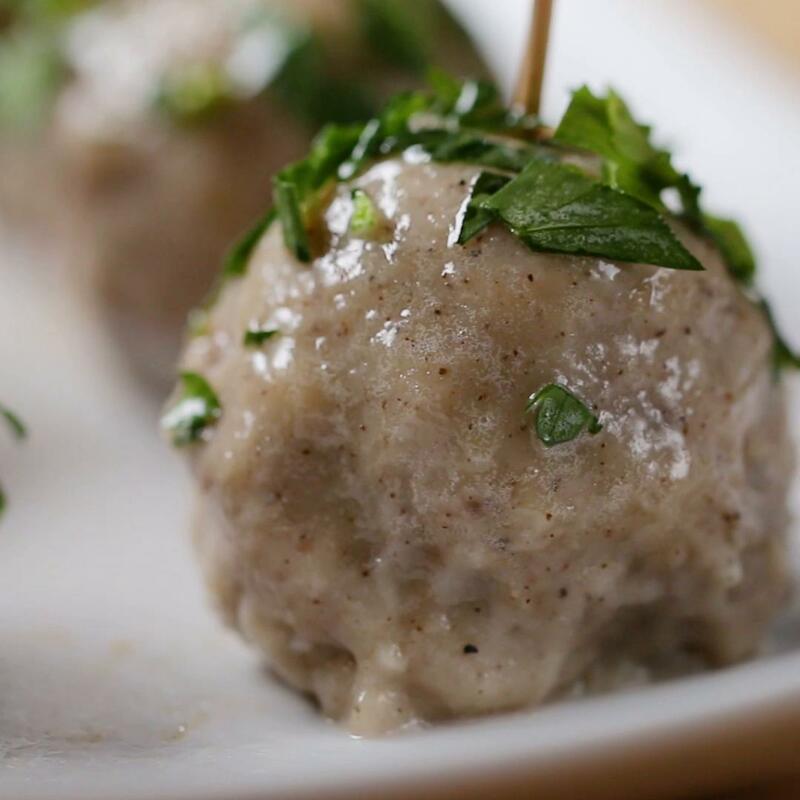 Grab a tablespoon of beef, place ½ tablespoon of cream cheese and cover it with the beef to make a meatball. 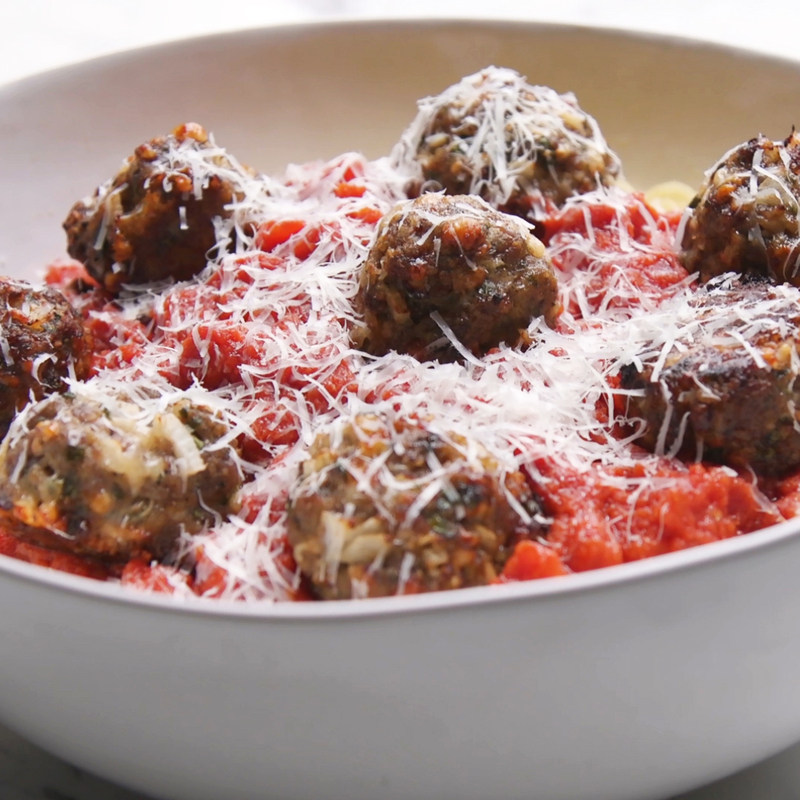 Add oil to a pan and cook the meatballs over low heat, let cool and remove excess fat. 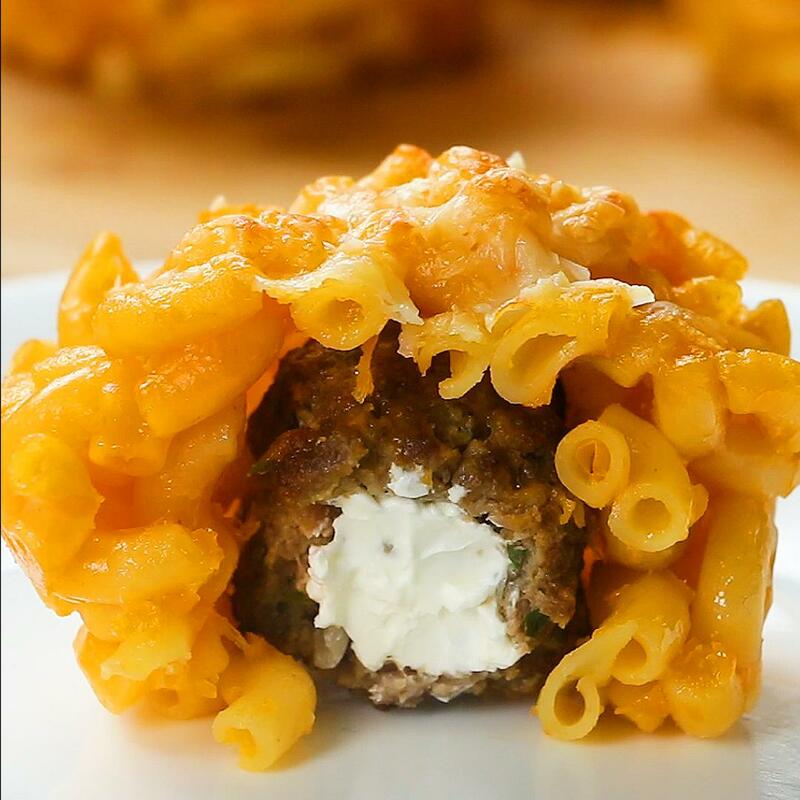 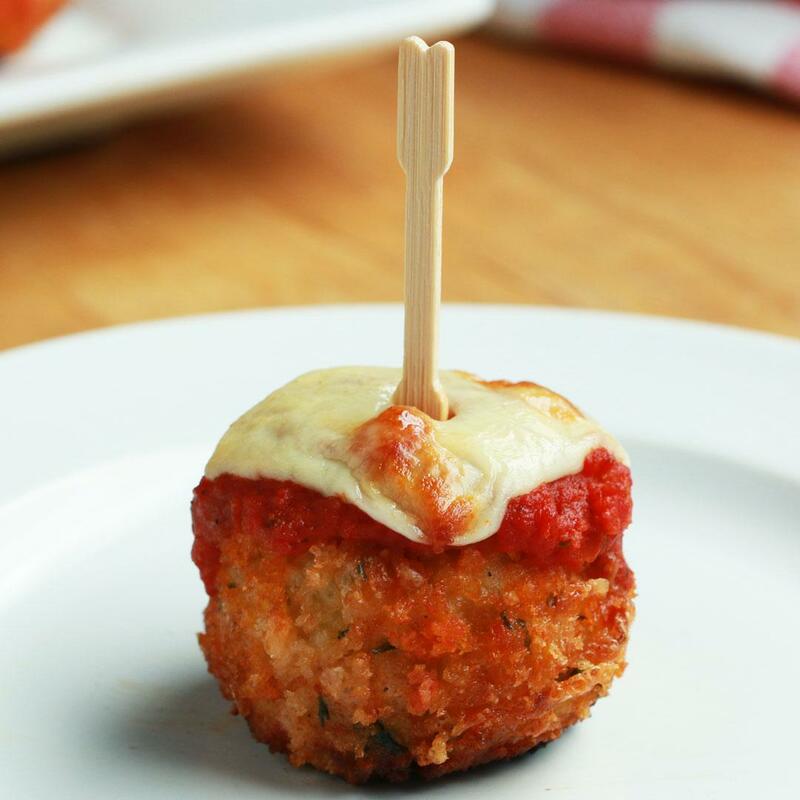 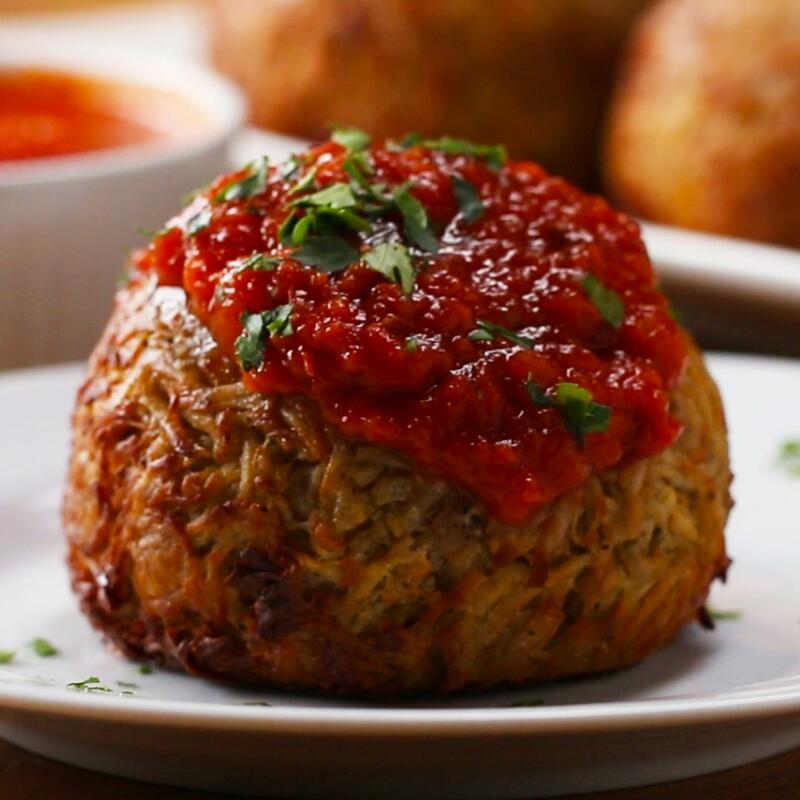 In a muffin tin, place a spoonful of macaroni and cheese and distribute to make a cup, place a meatball in the center and add more macaroni on top. 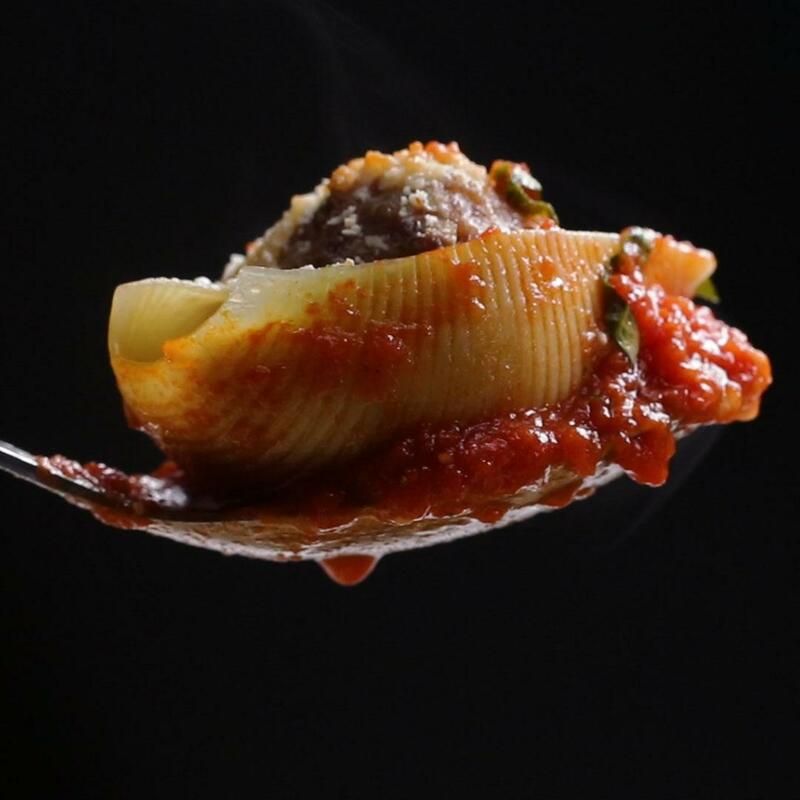 Add Parmesan cheese to taste.